Joe Atlas, food, agriculture, environmental portraits and architecture photographer based in Los Angeles, California. 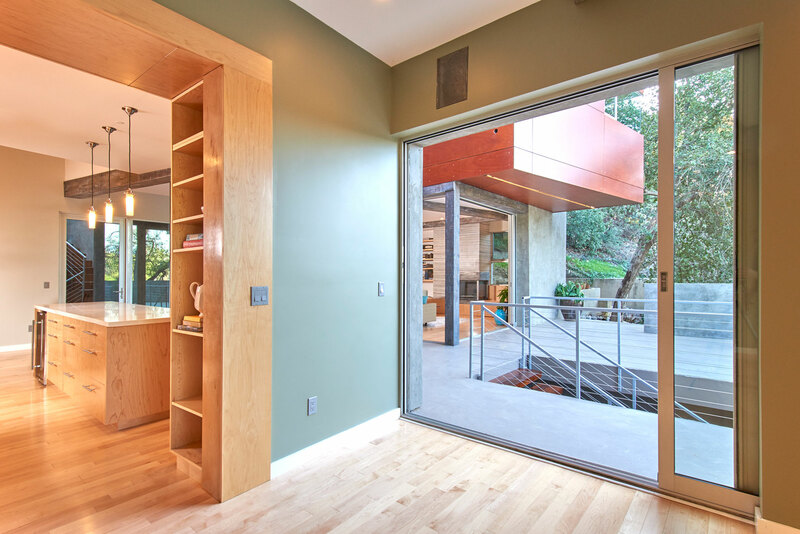 Hillside home designed and built by Jim Fenske Architect in South Pasadena, CA. Interior materials include, hardwood, glass, concrete, and venetian plaster. Joe Atlas interior design photographer captures this interior view for Architect and LA Times Home of the Week.